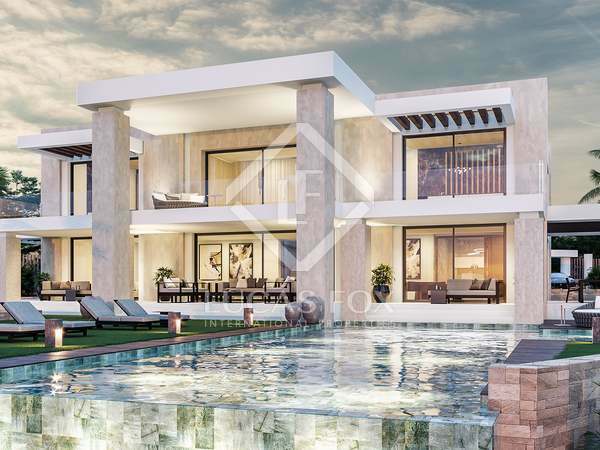 Exquisite luxury villa of 1,300 m² villa for sale in Guadalmina Baja with sensational contemporary interiors and beautiful exteriors with a swimming pool. Impressive 5 bedroom villa located in La Zagaleta featuring independent staff apartment, a gym and spa area and magnificent views to the Mediterranean Sea. Impeccable modern villa for sale in a prestigious gated community with a communal garden and pool in Marbella's Golden Mile. Stunning La Zagaleta villa destined to become one of the world’s great properties. Luxury villa with an exceptional design and timeless elegance, for sale on the highly exclusive La Zagaleta estate. Incredible mansion with 10 bedrooms, 10 bathrooms, industrial kitchen, spa and separate staff accommodation. Exceptional modern villa with a swimming pool, spa and entertainment areas and excellent views, for sale in La Zagaleta. Nestling in the foothills of the beautiful Ronda hills above Puerto Banús, this spectacular 6-bedroom villa overlooks the 14th hole of one of two golf courses on the La Zagaleta estate. Luxury contemporary-style villa with cutting edge finishes, design and technology, in an unrivalled beachfront location. 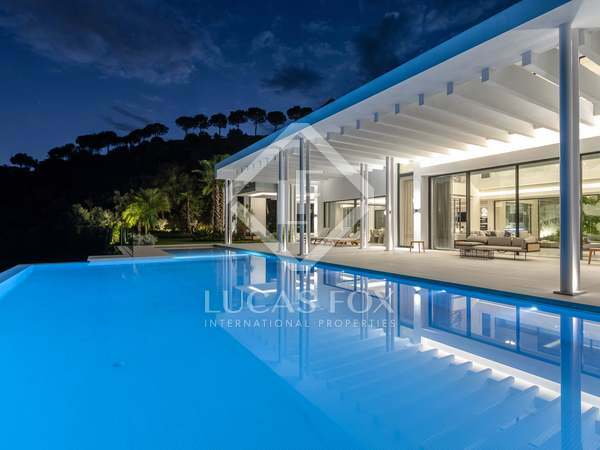 Luxury villa in La Zagaleta with water features, fantastic entertainment space and stunning panoramic views of the golf course and the Mediterranean sea. Exquisite front line golf villa in a prestigious neighbourhood just 10 minutes from Puerto Banús. An exclusive villa with 5 bedrooms with indoor and outdoor heated pools, jacuzzi, entertainment area and complete spa as well as garage for 6 cars and staff accommodation with separate entrance. An outstanding private residence in an exclusive area with stunning views, mature garden and indoor and outdoor swimming pools. Large guest house, home cinema and huge garage. First line property for sale, situated on the coast of Marbella, with gardens, a heated swimming pool, a garage and spectacular sea views. An impresive villa with a fabulous garden and spa area and beautiful sea views. Wonderful villa located in the exclusive La Zagaleta estate in Marbella, featuring marvellous mature gardens and spectacular views of the sea and mountains. Ultra-modern villa with spectacular sea views, close to Marbella and the beach. Fantastic new villa with pool, garden, cinema, gym and sauna. In the prestigious La Zagaleta country club with golf and equestrian centre. Separate staff apartment. 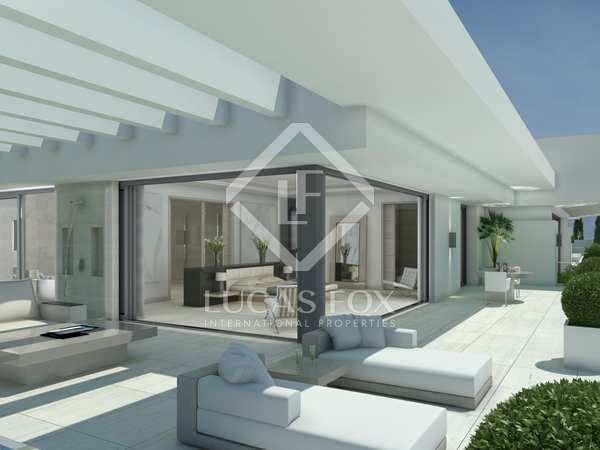 Exclusive project to build a luxury villa in Sierra Blanca, a highly sought after location close to Marbella. Villa with beautiful sea views and incredible interiors with infinity pool, unique water features and sensational exterior lighting system. 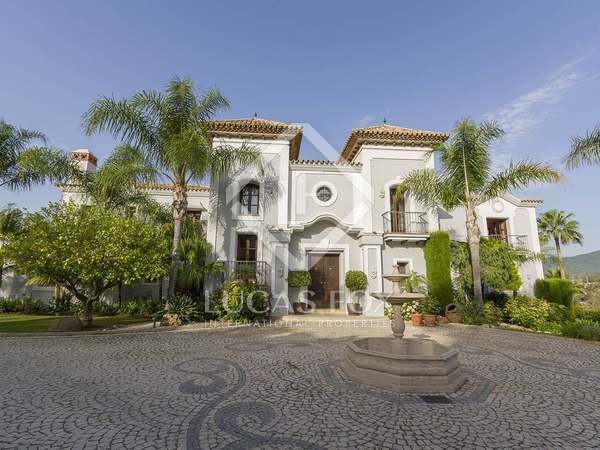 Stunning 7-bedroom villa in the exclusive gated urbanisation of Sierra Blanca, Marbella.